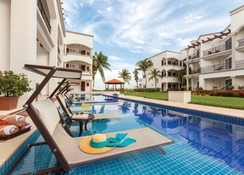 Located in one of the scenic areas of Playa del Carmen, Royal Playa Del Carmen is a luxury adults-only resort that offers excellent guest amenities and exudes Mexican charm and hospitality. Steps away from the famous Fifth Avenue, the all inclusive property has sophisticated all-suite accommodations, plus a whole host of first class amenities including oceanfront swimming pools and cabanas, spa services, sports and fitness facilities, water activities, unique tastings and evening entertainment – so Royal Playa del Carmen guests will never be short of things to do. The hotel boasts an elite dining scene which offers something for everyone, with 13 restaurants and bars serving up classic cocktails and delicious local and International cuisine. The rooms and suites also feature elegant décor with polished stone floors and contemporary amenities to ensure a comfortable stay is had by all. 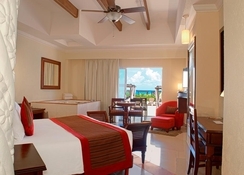 Located on a scenic beach, the Royal Playa Del Carmen is just a few steps away from the Fifth Avenue of Playa Del Carmen. 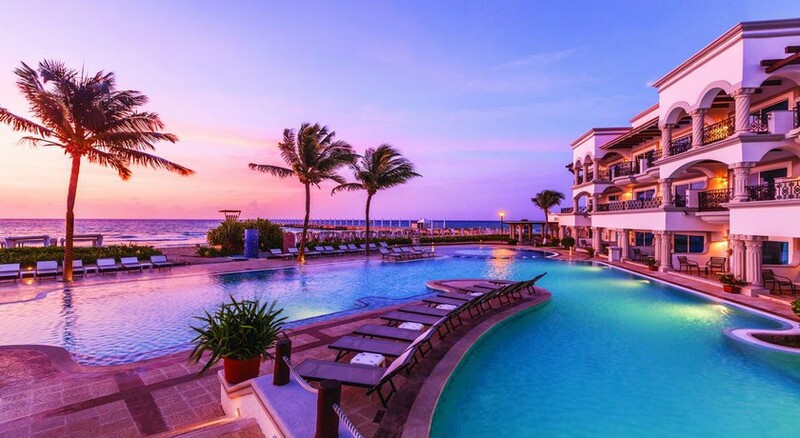 Surrounded by busy cafes, hip nightclubs and trendy shops, this is a lively spot on the Riviera Maya. The property is 1.2km from the Maritime Terminal and 1.9km from the Church of Guadalupe. 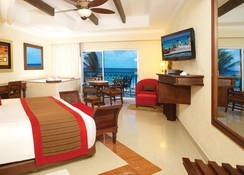 The resort is 19.5km from the Cozumel International Airport. The resort’s interior is deserving of its palace like exterior, with fine textures, fabrics and rich natural materials reflecting ultimate luxury and elegance. 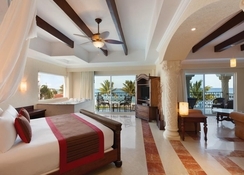 The all-suite accommodations have polished stone flooring, floor-to-ceiling windows with gorgeous views of the sea, private balconies and terraces to relax on, handcrafted furniture with local accent and large marble bathrooms. 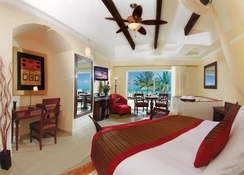 The superior suites have romantic swim-up pools or beachfront walkouts. All the guestrooms come with amenities like en-suite bathrooms with double jetted tub, robes & slippers, free Wi-Fi, pillow menu, mini-bar, flat screen satellite TV, Bose sound systems and turndown service. There is room service and laundry too. Enjoy elite dining experiences at any of the seven restaurants at the Royal Playa Del Carmen. Relish authentic cuisines from far and beyond and be mesmerised at the Caribbean fusion cuisine. The Asiana serves Pan-Asian dishes, El Mediterrano – Mediterranean, Maria-Marie – French-Mexican fusion, Chef’s Plate – international haute cuisine, Pelicanos – Caribbean fusion, Spice – new age Mexican and American dishes. There are lovely bars and lounges like Tradewinds, 24-Hour Lounge, Tequileria and Cigar Club where you can relax in blissful ambience. 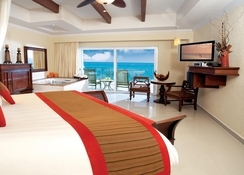 Royal Playa Del Carmen offers exciting avenues for your relaxation and recreation. You can play volleyball on the lovely beach, dive to see the corals or witnessing the native dance form. The SpaZul offers delicate treatments including hydrotherapy and Temazcal steam baths. Guests may chill at the Olympic-sized pool or indulge in a Pilates class. The neighbourhood is full of delightful cafés, shops, bars and nightclubs. All cards are accepted for payment at this property.